Have you gotten your Black Card yet from your local Black Radio Station? Why not it's Black History Month! 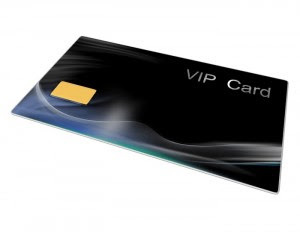 Two radio stations across the country are promoting a Black Card. (That's all we found so far...) Yes a Black Card. I'm sure this card is available to any red-blooded American willing to sign up. Anyway the two stations are Urban AC station 107.9 WRNB in Philadelphia and talk station 1690 WVON in Chicago. Become an RNB Black Card Member! RNB Black Card Members can tell us what to play! Win Concert Tickets! Win VIP Club Passes and exclusive Meet and Greets! AND IF YOU SIGN UP NOW YOU COULD WIN 500 DOLLARS, JUST BY SIGNING UP!!! YOU HAVE UNTIL MONDAY, FEBRUARY 22ND TO BECOME AN RNB BLACK CARD MEMBER…..AND YOU’LL AUTOMATICALLY QUALIFY FOR IT……YOU’LL FIND OUT IF YOU WON ON TUESDAY, FEBRUARY 23RD WITH MO’SHAY LAREN! All you have to do is JOIN NOW! Sounds easy enough... I might just sign up for the opportunity to be program director. If you know of any other radio stations offering a Black Card, leave a comment. Let the world know. Hopefully you don't have to pay for it and can win more than $500. But think about it, if you ever have to play the race card, now you have one! the black pass would be more of a current state black radio is in more so than not at this present time.